Basic is better, right? 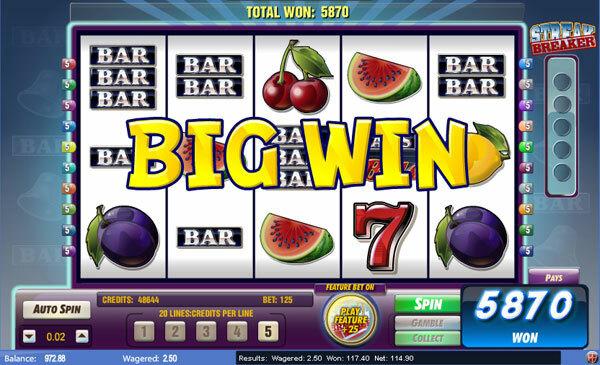 That is what the Amaya Gaming Software company thought when they developed the exciting Bars And Bells Slots game. The video slot comes with 5 reels and 20 paylines, and along with some amazing bonus features, this game could be the one just for you. In this review we will focus on what this game has to offer, the features, the characteristics and all the other thrilling details you need to know about the game. Stay tuned! The game is a perfect fit for players that adore Vegas themed slot games, as it adds a lot of excitement and thrill to this kinds of games. Even though one might consider the game as basic, the game has pretty amazing and advanced graphics with the symbols nicely designed as it includes 9 symbols in total. 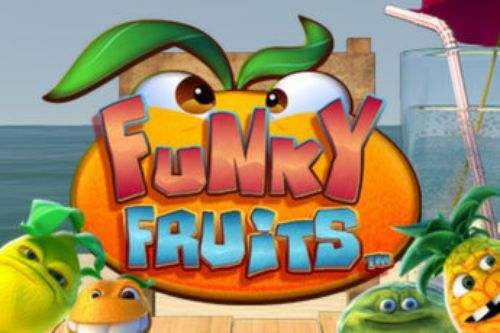 They are bars, 7’s as well as the commonly used fruit symbols. In order to land a winning prize, you will need to have at least three matching symbols on an active payline. If you manage to land five of the 7 symbols, you will be rewarded with 3,750 coins which we got to admit is a decent prize. The RTP of the game is 95.00%, which in the slot world is considered average, but it will gradually increase especially if you manage to land activate the Streak Breaker feature. Also, the game includes a Wild and a Scatter symbol. The wild substitutes all other symbols except the Scatter and will pay you up to 5,000 coins. The scatter symbol is the logo symbol and it is the key to activating the free spins round. The first thing that you need to do upon opening Bars And Bells slots game is to set your desired coin denomination, and then you are ready to spin the reels and start the game. It is important to mention that the bet range in the game varies between 0.02£ up to 5.00£. The highest possible bet in the game is 100.00£. With the up and down arrow that are displayed on the screen you can change your coin denomination, and with the numbers that are placed on the lower part of the screen (from 1 to 5) you practically choose the number of coins that you want to bet per line. With the “Spin” button, you practically start the game and the reels will start spinning. With the “Collect” button, you take the winnings if you manage to land one. Another important thing to note in this segment is the “Gamble” feature, which is practically a bonus feature and you play it as a double or nothing game. 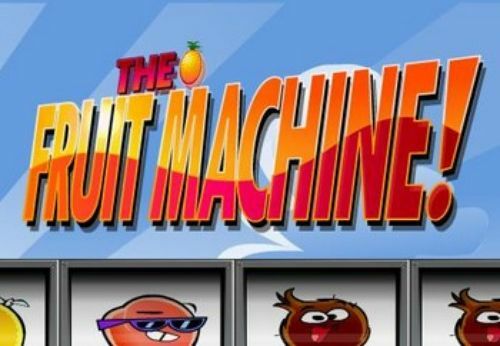 The interesting part about this seemingly basic game is that there are enough bonus features for you to provide you with the potential to win some amazing cash prizes. And in this segment we will focus on them and explain all that you need to know regarding the bonus features of the game. Streak Breaker – This feature is activated if you click the same button at the start of the round and you will get a random cash award on 5 no-win spins in a row. Shake ‘N’ Pays: The feature will give you a random award from 100 up to 25,00 coins during the base game. This feature is not triggered by any of the symbols on the game, since it appears completely random. 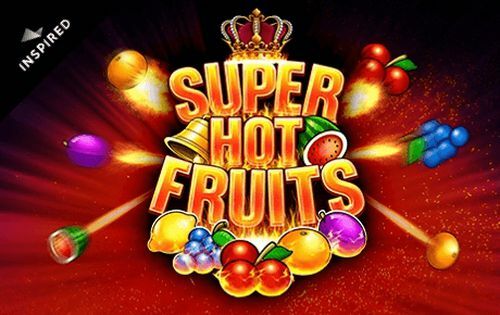 Last but not least, this game consists the Free Spins round, which you will get if you manage to land a scatter anywhere on the second, third and fourth reel, and therefore you will be awarded with 5 up to 12 free spins. Another interesting thing about the game is that this round can be re-triggered. We must mention that the wild symbol in the game a golden bell, while the scatter is basically the logo of the game. The Bars And Bells Slots is another game that proves to the slot world that the Amaya software provider company is not to be underestimated, because it offers really exciting gameplay as well as various bonus features which make your game more interesting and amusing. 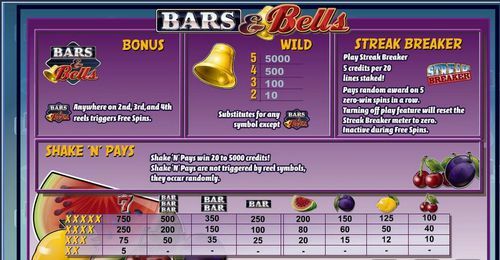 Great bonus offers await for you if you play Bars And Bells Slots at our partner casino sites. Enjoy your time and Good Luck!